Exciting times! You've kicked off a review cycle, participants have been notified, and reviews are underway. Oh no... there's a typo in the cycle name. Hoping no one has noticed, you log into your account to edit the name of the cycle. Before now, editing an active cycle from within app was impossible. Here is another hypothetical scenario. The end date for a review cycle is quickly approaching, and only 30% of the reviews are complete. 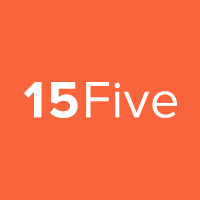 😱 With people begging for more time to finish their reviews, you write into 15Five Support and ask for the cycle's end date to be extended. Once again, changing deadlines in app is impossible. Now, review admins can edit settings for an active review cycle from within 15Five. Cycle name, visibility settings, participants, milestones, and more are now editable for cycles that have already begun. There are a few items listed on the 'Review cycle settings' page that are not available for editing. For complexity reasons, we currently do not allow editing of the review type (including/excluding peer or upward reviews). Additionally, we do not allow editing of question templates that are in-use. Our Product Team is incredible and will continue to look for ways to simplify these complex feature requests. We hope to introduce more editable settings in the future. Lastly, review admins cannot edit the transparency settings for peer and upward reviews. As a company, we have a core value of "Granting Trust". We believe that our values extend to our product and we want all people, in all roles, to trust the review process. We're open to feedback on this topic. Again, our Product Team will continue to investigate and weigh the pros and cons of adding this option.